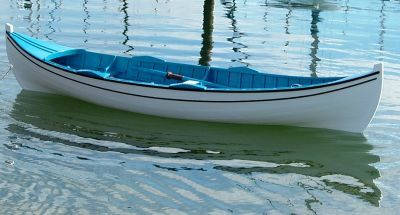 The Fraser River Skiffs and Rivers Inlet Skiffs of British Columbia were flat-bottomed double-ended rowing-and-sailing boats that were used primarily for fishing but also for general utility and light transport. Lily Lake Rec Centre, Pender Harbour, BC. 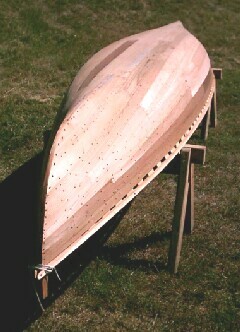 Modified Thomson-Malyea 14-footer, for which plans are available. The Sunshine Coast's Replica Hand Troller ANNA. 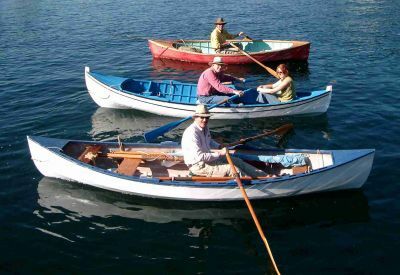 It is a copy of a boat built in 1934 by Canadian Author Hubert Evans. 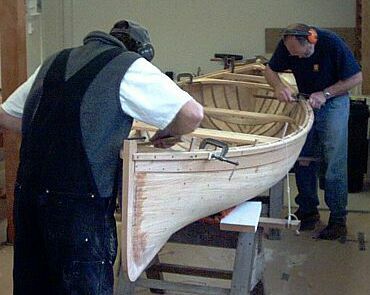 ANNA was built in 2005 by Larry Westlake and a group of volunteers for the Handliner Migration Project. 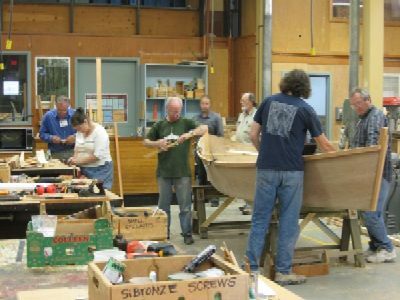 PAPER BUOY was built in 1990 under Larry's direction, by a group of volunteers called "The Paper Boat Committee". The construction is glue-laminated paper applied in many layers over a framework of thin transverse cedar planking, on light fir stringers. 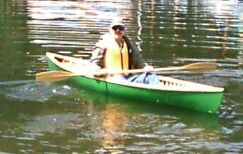 This method was invented by Victor Phillips and employed by the "LiteKraft" boatbuilding company of North Vancouver, BC in the 1940's and 1950's. 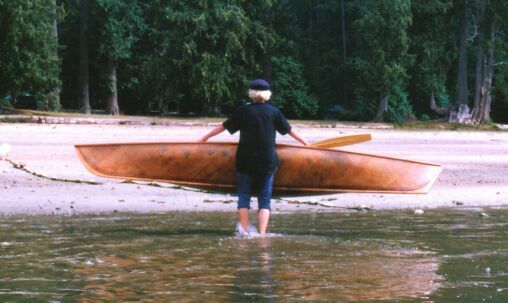 This 12 foot long by 28-inch wide paper canoe has crossed Georgia Strait 3 times, once entirely under sail (skippered by Matthew Kirk) and twice by sailing and paddling as conditions required (skippered by Larry). All wood and paper (brown grocery bags) was salvaged/reused material. Varnish was discards and dregs from basements and the town dump, mixed together (it lasted well). Only the fastenings (about 100 screws) and the glue were new material.